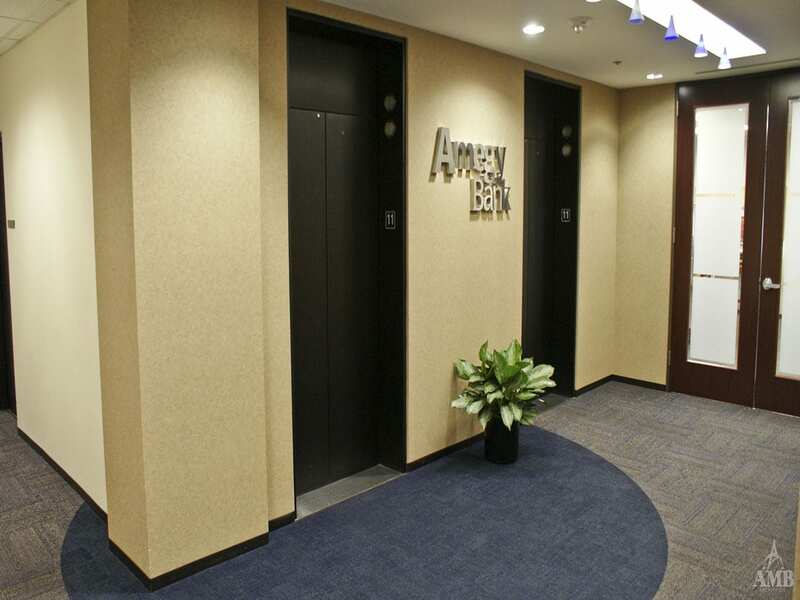 Amegy Bank is not only a place that handles your money, it is also a place that people can gather to have meetings. The 1300SF Main Conference Center was completed in the year 2010. 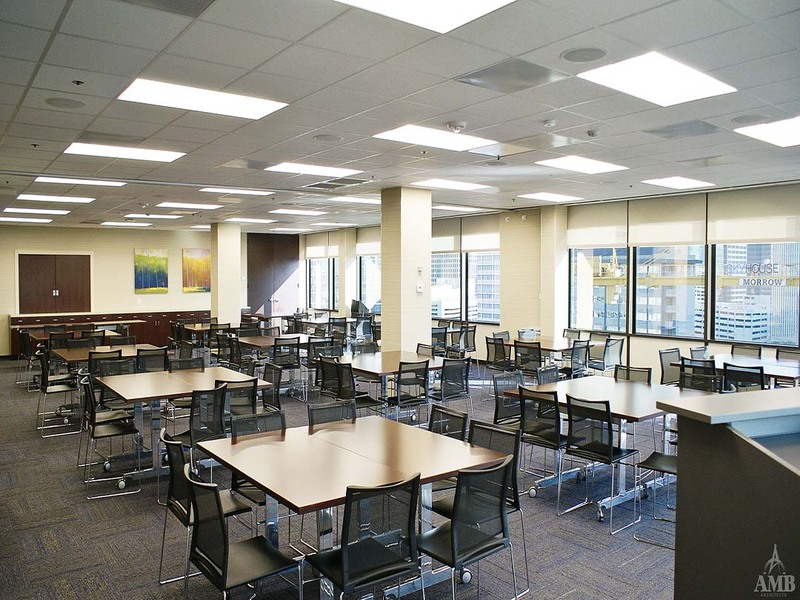 The end goal was to design a large conference room for the town hall meetings and vendors who may need to use the space and a new break area for employees. 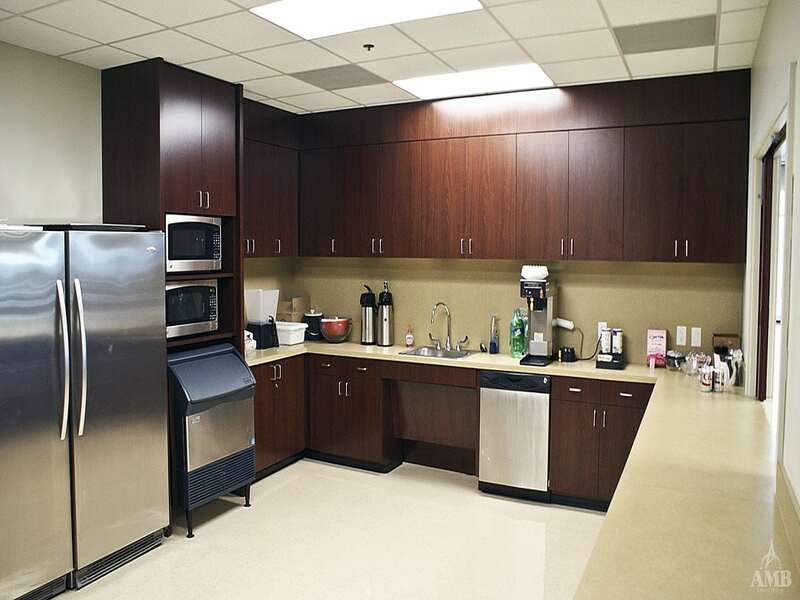 The new custom break room provided ample counter space, warming draws, a serving window and more. 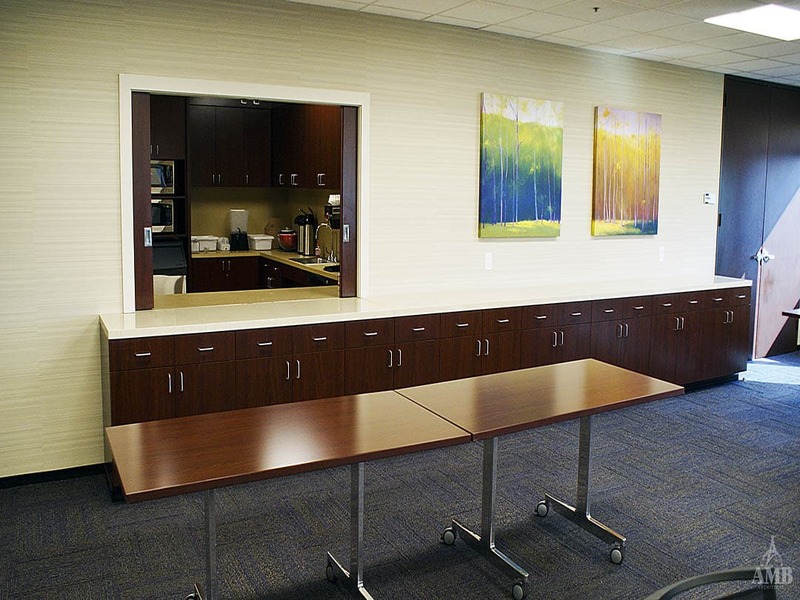 With the unique feature of movable partitions, the room is able to transform and become what the user wants it to be. 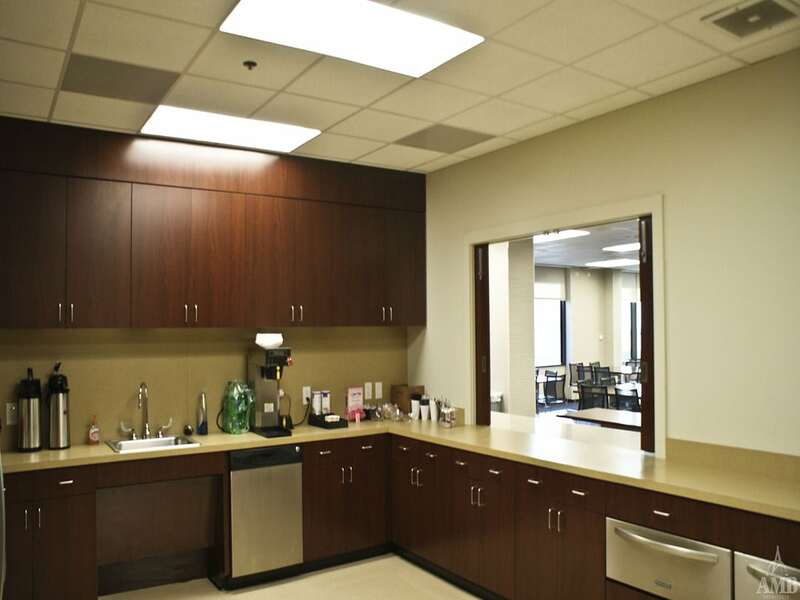 With collaboration with the client, Project manager Breann Nash designed a custom multipurpose work environment and break room that promotes the ability to improve meetings and working environments.